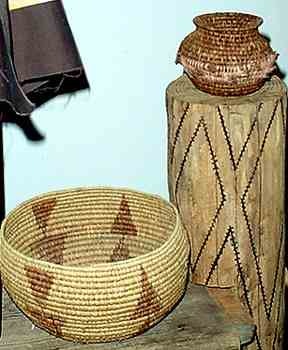 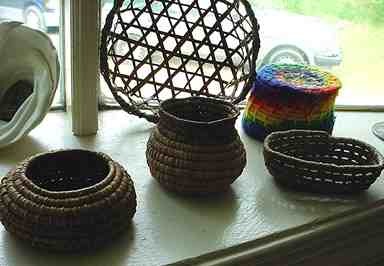 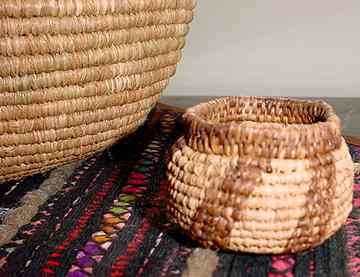 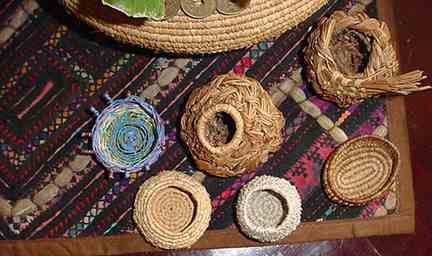 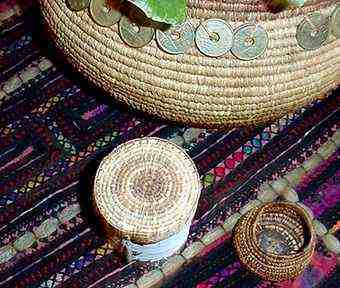 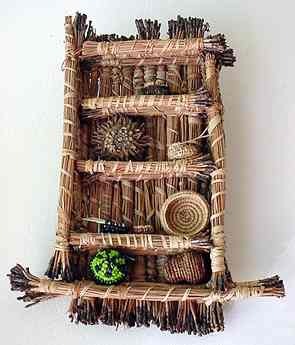 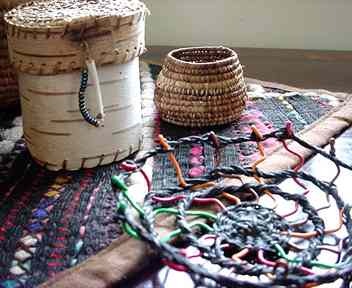 Series of small baskets by Nancy Latham, braided and/or coiled out of pine needles and raffia, with the exception of the brightly woven telephone wire miniature, by Persis Suddeth. 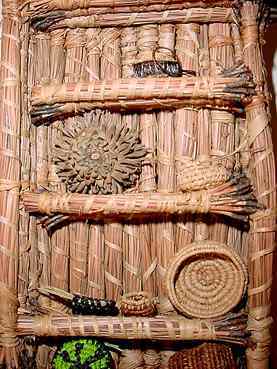 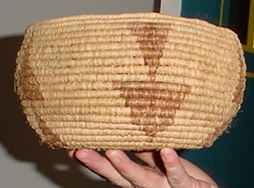 The covered box is made of birchbark, with a coiled lid. 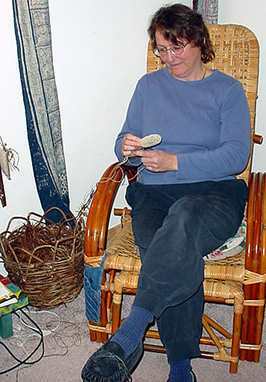 Nancy working in her "coiling corner", with a large natural basket to hold her supplies. 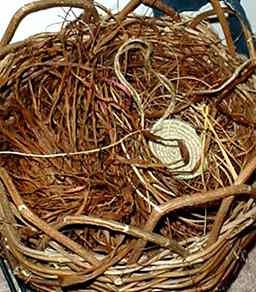 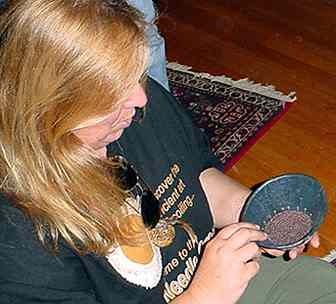 She is working on a hemp basket. 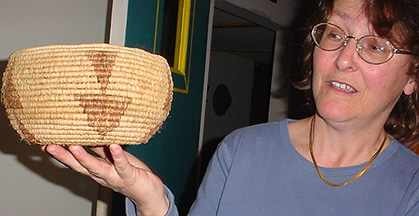 Nancy Latham and another of her wonderful, closed coil creations of pine needles and raffia. 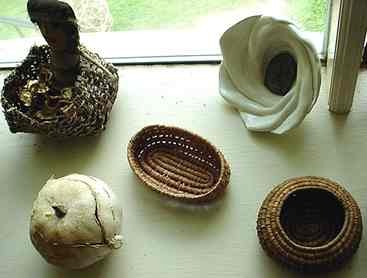 Thanks so much for sharing these with us, Nancy!